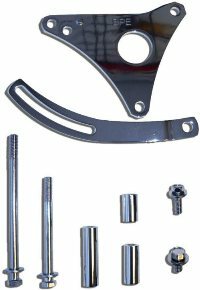 Spacer Kit for Aluminum Water Pump Housing with BPE4710CH A/C Bracket. Spacer Kit for Aluminum Water Pump Housing with BPE4710CH A/C Bracket. Complete with all necessary fasteners and spacers. Brackets Chrome.